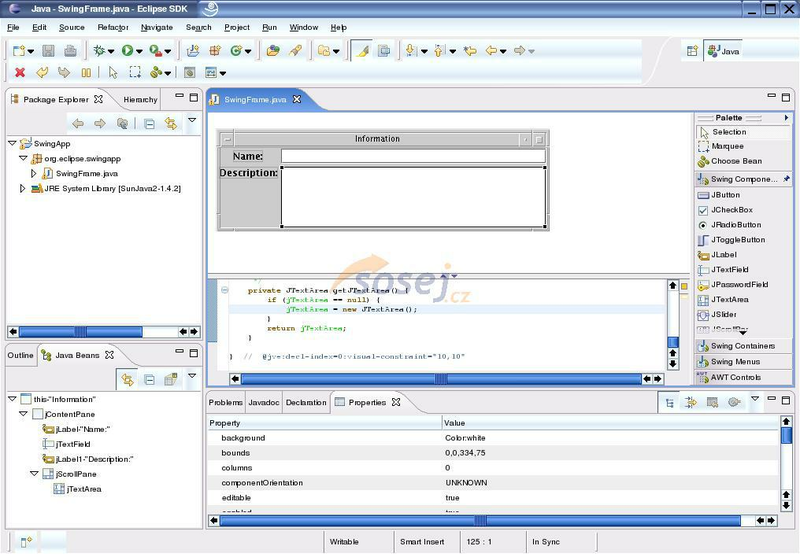 Eclipse is a multi-language software development environment comprising an integrated development environment (IDE) and an extensible plug-in system. It is written primarily in Java and can be used to develop applications in Java and, by means of the various plug-ins, in other languages as well, including C, C++, COBOL, Python, Perl, PHP, and others. The IDE is often called Eclipse ADT for Ada, Eclipse CDT for C, Eclipse JDT for Java. 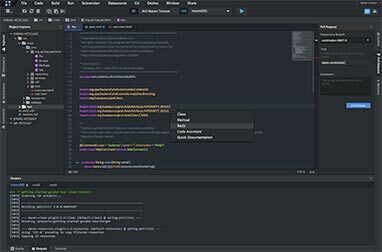 Eclipse is a multi-language software development environment comprising an integrated development environment (IDE) and an extensible plug-in system. It is written primarily in Java and can be used to develop applications in Java and, by means of the various plug-ins, in other languages as well, including C, C++, COBOL, Python, Perl, PHP, and others. 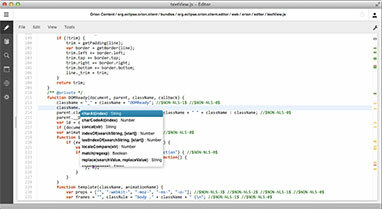 The IDE is often called Eclipse ADT for Ada, Eclipse CDT for C, Eclipse JDT for Java and Eclipse PDT for PHP. The initial codebase originated from VisualAge. In its default form it is meant for Java developers, consisting of the Java Development Tools (JDT). Users can extend its capabilities by installing plug-ins written for the Eclipse software framework, such as development toolkits for other programming languages, and can write and contribute their own plug-in modules. 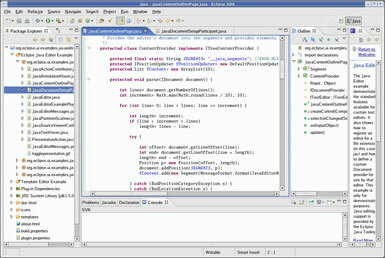 Released under the terms of the Eclipse Public License, Eclipse is free and open source software. Java developers can take advantage of new features in the Eclipse IDE, including new Quick Fixes for Java 8, a hierarchical presentation for nested projects in the Project Explorer, the ability to customize perspectives, and speed improvements for text search. The Linux Tools project now includes integrated tools that allow Eclipse users to build and manage Docker containers/images. A new project, called Oomph, makes it significantly easier to install an Eclipse IDE and to provision a project-specific Eclipse workspace. Oomph also makes it possible to record and share user preference settings across workspaces. Eclipse users will now be able to benefit from first-class Gradle support inside the Eclipse IDE. The new project, Buildship, makes it possible for developers to set up, configure, and initiate Gradle builds from Eclipse. All Eclipse reviews, submitted ratings and written comments become the sole property of Windows 7 download. You acknowledge that you, not windows7download, are responsible for the contents of your submission. However, windows7download reserves the right to remove or refuse to post any submission for any reason. Windows 7 Download periodically updates pricing and software information of Eclipse full version from the publisher, but some information may be out-of-date. You should confirm all information. Using warez version, crack, warez passwords, patches, serial numbers, registration codes, key generator, pirate key, keymaker or keygen for Eclipse license key is illegal and prevent future development of Eclipse. Download links are directly from our mirrors or publisher's website, Eclipse torrent or shared files from free file sharing and free upload services, including Rapidshare, MegaUpload, YouSendIt, SendSpace, DepositFiles, DivShare, HellShare, HotFile, FileServe or MediaFire, are not used.